MOORESVILLE, N.C. (Jan. 28, 2019) – Developing the next generation of NASCAR stars is a top priority for many teams these days. With the announcement of Drivers Edge Development, a joint venture among JR Motorsports, and GMS Racing and presented by Chevrolet, the teams took a giant first step down that road. Before the birth of Drivers Edge, JRM had much success in developing young drivers. Starting with Brad Keselowski (2012 NASCAR Cup Series champion) and moving on through 2017 Cup champion Martin Truex Jr., top-series drivers Aric Almirola, Landon Cassill, Danica Patrick and Alex Bowman, JRM has had a hand in a lot of successful careers. Of course, Chase Elliott got his start at JRM, winning the NASCAR Xfinity Series title as a rookie in 2014. William Byron began his career in JRM’s Late Model as a teammate to Josh Berry and returned in 2017 to win the second series title for the team. Tyler Reddick made it three titles and two in a row for JRM as somewhat of a development driver as well. 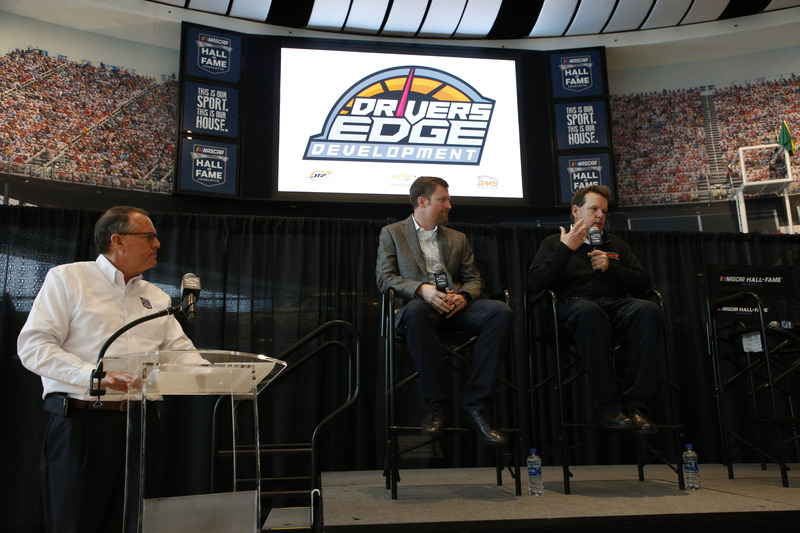 The Drivers Edge Development program features six drivers at various levels who will drive for either JRM or GMS. Noah Gragson will drive for JRM in the NXS, while John Hunter Nemechek will pilot GMS’ Chevrolet Camaro in the same series in 2019. Zane Smith will drive a handful of NXS races for JRM this season, while Sheldon Creed will pilot GMS’ NASCAR Gander Outdoors Truck Series machine. Former JRM Late Model driver Sam Mayer (15) will race in the NASCAR K&N Series, ARCA and NGOTS for GMS as well as a set number of Late Model events at JRM. Adam Lemke, the 16-year-old California driver, will run the full CARS Late Model Stock Car series for JRM as well as select other LM events throughout the year. A successful technical alliance between the teams was the jumping-off point for Drivers Edge, but the program is aimed at more than performance on the track. Earnhardt Jr., the most visible and popular NASCAR driver of the past two decades, said it’s about providing tools for young drivers to build brands that will endure. If anyone knows about building a brand, it is the 15-time NASCAR Most Popular Driver. In that vein, JR Motorsports and GMS Racing are building on the platform to give talented young drivers a leg up on building their own to go with success on the track. Mike Beam, team president at GMS and a 40-year veteran of the NASCAR experience, said it was a simple concept that is right for the time. Chevrolet is on board with the program, as is Lorin Ranier, who has his finger on the pulse of the feeder series to NASCAR’s top divisions. So is Josh Wise, who has transitioned from driving to training the next generation.